I have to admit I am both astonished and depressed when I read about the state of education in America's colleges and universities. While I have no doubt that racism is prevalent and a serious problem, it is the desire on the part of the students to create "safe" environments that amazes me. Safe not only from racial slights, but also from encountering anything that does might make them feel uncomfortable -- from banning speakers with "upsetting" points of view to "trigger warnings" on literature, lectures and just about anything else. This may all make for a "safe home," but it does not make or an education. And, having taught at Columbia and NYU, I am also not so sure that the classroom is the place you do most of your learning anyway. When I went to Williams College in the fall of 1972 (yes, that was a LONG time ago), I arrived at the age of 17 from an extremely sheltered background. I had grown up on Long Island in a community that was more Jewish than Tel Aviv. There were hardly any Jews at Williams then, but this is not the core of my story. At 17, I simply had not encountered anything of life. My grades were good, I was a good student and I was on my way to law school, so I thought. I had the very good fortune to encounter an extremely unusual teacher at Williams, Professor Robert Gaudino. I was in his political philosophy class and, I thought, doing quite well, when he took me aside one day for a talk. "You should get out of here," Gaudino said to me. "You need to grow up, and it won't happen here." The environment of Williams was, well, quite pleasant, quite supportive and quite non-threatening, (despite my minority status). Under Bob Gaudino's guidance, I left Williams at the end of the semester, and went to live with a coal mining family in a small hamlet called Lick Branch Hollow in Knott County, in Eastern Kentucky. Coal country. 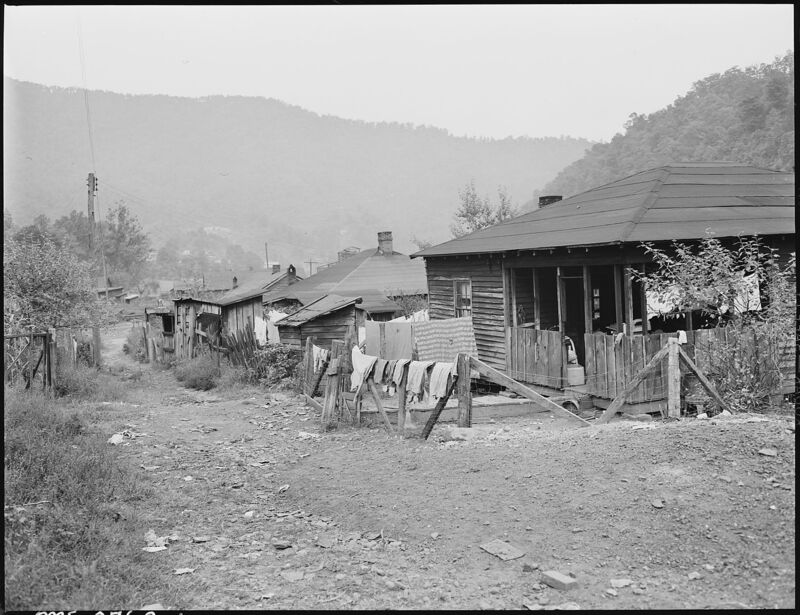 Appalachia. The Guardian newspaper today noted that it is the poorest region in the country, to this day, and I can believe it. I got a job with the Consolidated Coal Company. The deep mines were not for me, so I went to work on the strip mine instead. I lived with Liz and Bill Stacy in their small cabin on the banks of Troublesome Creek. We began each morning by digging out a bit of coal for the pot bellied stove that was our only source of heat. You get the idea? Cedarhurst, this was not. Neither was it the lovely Berkshires of Williamstown, Mass. And working in the coal mines was, well, what shall we say, not a "safe" environment. From Appalachia, I went to Iowa, where I got a job as a farm hand on a large working farm in Iowa Falls. Again, I moved in with a farm family. We grew corn and soybeans and raised duroc hogs. Slopping out hogs and working the fields was also not a very "safe" environment. From Iowa, I had planned on going to Detroit. I had a job lined up on the assembly line with Chrysler, but the oil crisis of 1973 closed down the plant, so instead, I got a construction job building confinement breeders and living with other workers in a motel in Mediapolis, Iowa. On my first day on the job, the foreman turned to me and said, "college boy?" He handed me a shovel. "Think you can figure out how to work this machine?" he said. I spent my first weeks digging ditches. It was all an education. But it was an education forged by facing hardships and people and a world that was totally alien to me. It forced me to confront lots of unpleasant thing -- "unsafe" things. It made me grow up. It made me who I am today. It made me independent. It taught me not only to think for myself, but that I could pretty much do anything and survive anything. It imbued with a self-confidence that would last me a lifetime. I went back to Williams a very different person than I had been a year before. I changed my major; I changed my life. I never thought about law school again. Bob Gaudino gave me an education, but not in his classroom; rather in the world. You don't learn anything by being kept "safe." You learn by being in difficult and unusual circumstances and figuring it out on your own. At least I did. And I would not change the education that I got for all the trigger warnings in the world.